This was a fun project and the results reminds me a little bit of Japanese-style paintings (something I truly did not expect). 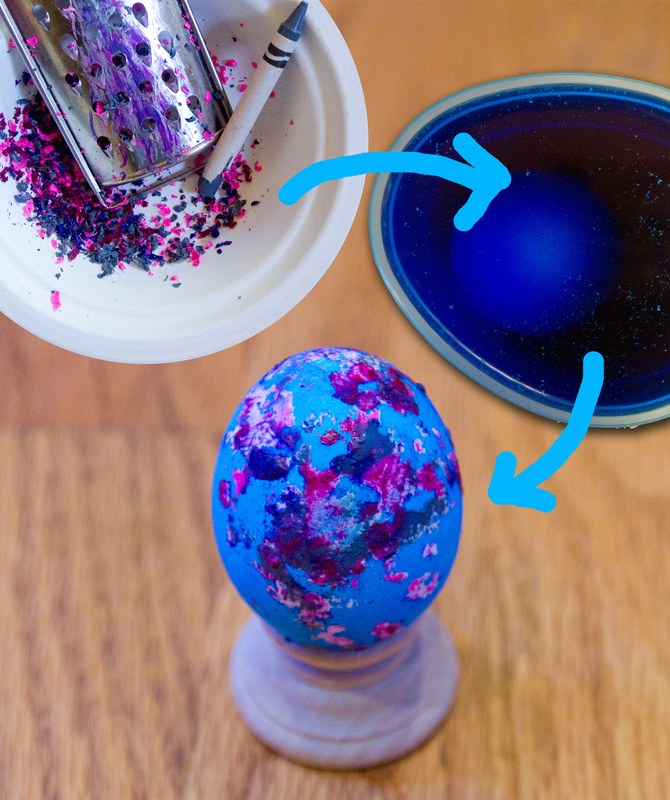 This is how it’s done: Shred some crayons, mix the colors and sizes… then boil an egg and roll it in it (be careful, if the egg is too hot it will melt all of the pieces and will not give you the right effect). Then color the egg and you are done. This is a really simple wax-resist project that is fun for the kids. I mean, when do you get to “destroy” your drawing tools? This entry was posted in Art Projects and tagged art, ArTree, crayons, easter, egg, kids, project. Bookmark the permalink.